The indulgent holiday season is over and a new year has begun. For many, New Year’s resolutions involve getting fit and eating healthier. 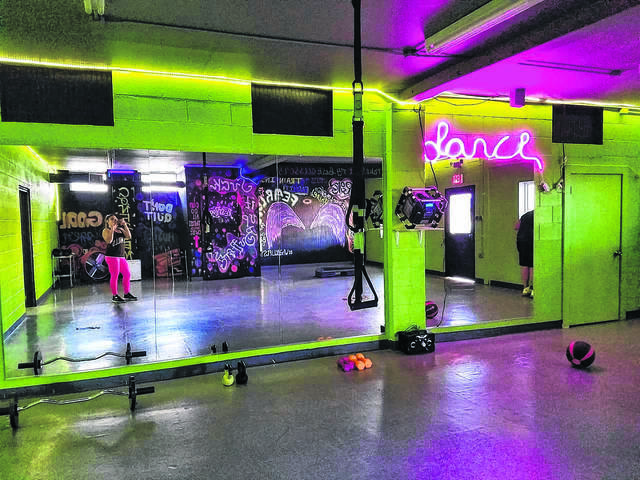 Christina Mann, fitness instructor and owner of Fitness on Fleek in Boonville, said that 80 percent of people who plan to get in good health in the new year will give up before they can create those healthy new habits. Those pounds didn’t get there overnight and won’t go away quickly. It’s a daily decision to commit to a healthy lifestyle. While healthy eating and healthy fitness habits go hand-in-hand, Mann suggested making changes slowly. “Don’t try to change too much at one time. Start working out and then begin to slowly change your nutrition to fuel your body for your new lifestyle,” she said. A healthy lifestyle should be planned for and thought of just like other important tasks. “Schedule your workout just like you would for a doctor appointment. You’re more likely to commit to it. Thirty minutes a day is all you need to make a change,” said Mann. “Pack your gym bag the night before so you’re prepared. No excuses,” she added. A positive attitude and a friend can be a boost to the new routine as well. Avoiding high sugar drinks like soda is a quick change that helps with calorie intake. When it comes to a fitness routine, Mann said a mix of cardio and weights can bring about the quickest results for most people. Finding a fitness routine that is enjoyable is another suggestion Mann offered. Fitness on Fleek offers a variety of strength training and cardio classes including Zumba, a cardio dance-based exercise; Kettlebell Body360, which uses a specific style of weights to sculpt and tone muscles and burn fat; circuit training; and more. A new cardio class beginning this year called STEP up offers a low impact, high energy routine that burns more than 500 calories in an hour. Mann also offers personal training as well, where she meets with clients for one-on-one sessions tailored to specific needs. There is no joining fee or membership cost. Classes are available for $5 each or $45 to attend unlimited classes in a month. Personal training sessions are available, eight 30-minutes sessions for $100 or $15 for a single 30-minute session. For more information or class schedule, visit the Fitness on Fleek Facebook page or contact Christina Mann at 336-692-2018. Fitness on Fleek in Boonville offers a variety of cardio and strength training exercise classes to help those with New Year’s resolutions to get fit in 2019.